Kaspersky Lab is controlled by the KGB (or at the very least shares data with it). Kaspersky Lab writes viruses to create more business for the company. We lift the lid on where all this came from and how things really are. The oldest myth endures: Kaspersky security solutions, it’s said, consume so much processing power, you won’t be able to get anything done. We politely disagree: No, they simply don’t. Or rather, they don’t anymore. There used to be performance issues in our products, in the early 2000s, and that’s when this myth was born. But in 2006, we released Kaspersky Anti-Virus 6.0, which featured a completely new engine, and since then our products consume vastly fewer resources. They hardly affect system performance at all. Kaspersky Internet Security for macOS detected all malware in the system, consuming less than 1% of resources. Some people are keen to keep those pre-2006 memories alive, but they’re living in the past. For several years in a row now, we have won dozens of awards for performance, and those CPU-hogging days are long gone. Conclusion: No, Kaspersky Anti-Virus does not slow performance; it is one of the fastest antivirus solutions available. Gifted conspiracy theorists periodically announce that Kaspersky Lab was created solely for the purpose of developing cyberweapons and tracking users for the KGB. And Eugene Kaspersky himself was trained at a KGB school, so that clinches it. Lest anyone forget, the KGB ceased to exist on December 3, 1991, and Kaspersky Lab was founded in September 1997. In other words, it wasn’t chronologically possible for Kaspersky Lab to develop cyberweapons and harvest data for the KGB. 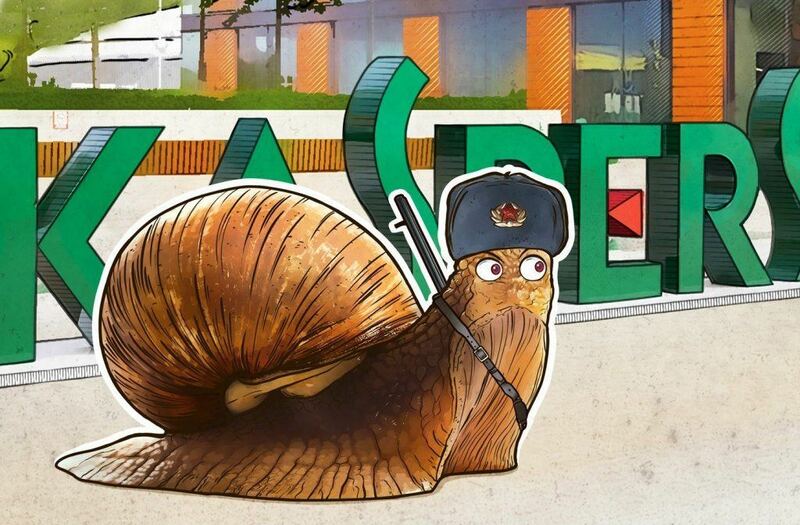 As for its successor, the FSB, and the other big law enforcement agency in Russia, the Interior Ministry, their idea of a “virus” was strictly biological when Kaspersky Lab was founded. But bring the myth up to date and we don’t deny it: We do indeed cooperate with the Interior Ministry and the FSB — as well as with various other organizations, such as Interpol and numerous emergency response centers around the globe. However, Kaspersky Lab’s role is exclusively to help investigate cybercrime and catch cybercriminals. Any other form of cooperation would go against our principles. Helping take cybercriminals off the virtual streets benefits society, such as with the neutralization of Lurk, a group that stole more than 3 billion rubles (about $100 million at the time) from Russian citizens’ banking accounts. Recently, we have seen little reason to cooperate with European law enforcement agencies, but we continue to work and even increase our engagement with other similar structures. There will be no peace in the world until all cybercriminals have been nabbed. We can’t catch them ourselves — we don’t have the authority — but we’re happy to help those that do. We don’t share any user data with any special services. All data is handled with extreme care, used anonymously, and protected against any kind of leakage. Conclusion: Kaspersky Lab cooperates with law enforcement agencies, but only as part of cybercrime investigations. We do not leak any data to anyone. Some people believe that we are a source of malware, which we then catch ourselves. We do it, the story goes, to sell more products. Who needs antivirus software if there are no viruses? This myth has no historical or any other kind of basis at all; it’s pure conspiracy theory. First, imagine the scale of the reputational damage we would suffer if we did such a thing and our competitors and the media found out. And they would certainly have found out by now: An important component of malware research is attribution, tracing malicious code back to its author. This can often be done with decent accuracy. Basically, if anyone had ever found our fingerprints on a virus, Kaspersky Lab would have been ripped to shreds. But no one has ever found anything like that, for the simple reason that we don’t write viruses. And there is absolutely no need for us to inflate demand for antivirus software. Just like doctors don’t need to create illnesses, there’s plenty of bad stuff out there already. Too much! Our company employs almost 4,000 people, and they’re all busy enough without the additional task of writing viruses. Just think, over the past year we’ve caught more than 15 million unique malicious objects. Do you really think we need to create our own as well? Lastly, it would violate our ethical principles. We are proud to state that our mission is to make the world a safer place, and writing malware isn’t exactly in line with that aim. Conclusion: No, Kaspersky Lab does not write viruses. Cybercriminals do the writing, we do the catching. The CPU-hogging myth is, as myths frequently are, based on some historical facts that simply aren’t true anymore. The myth about our supposed KGB connections is the result of wrongly interpreted information about Kaspersky Lab’s cooperation with law enforcement agencies. As for the myth that we write viruses ourselves, it just makes no sense. What would people do without conspiracy theories?